snips snippets: Where to begin, when the words don't want to come? I think it's good to take a break from blogging for a little while when the sewing is calling your name! Everything is looking beautiful. I would be SO EXCITED to receive that lovely gift. I like the addition of the yellow strip to the pouch, it looks fantastic. What did you use to give it body, it looks poofier than interfacing? 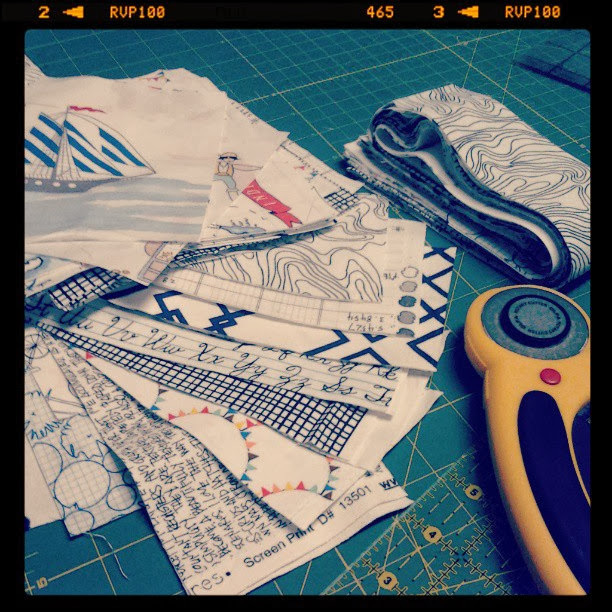 sewing trumps blogging for me too, and it looks like you've been doing a lot of that lately. Sometimes, when I get behind in my reader, all I can do is mark all of them as "read" and move on. I can't go back if there are just too many. It can get overwhelming and really time consuming. by the way, I love you Penny Sampler and I'm glad you decided to leave the little pops of yellow. Also, your shower gift is so precious- she'll love it! The answer to your question is 'Always'. Cute bee pouch. Your friend is super lucky to have all those great gifts coming her way very soon, and to have a friend who loves her enough to put in all that effort. The Penny Sampler's looking great, as usual. I thought the background colour you had already looked fine, but I am excited to see how you decide to change it. Very cute boys and cute costumes. All of those presents are looking lovely! Well done. I'm sure your friend will appreciate it. You said it all about the costumes. So stinking cute! 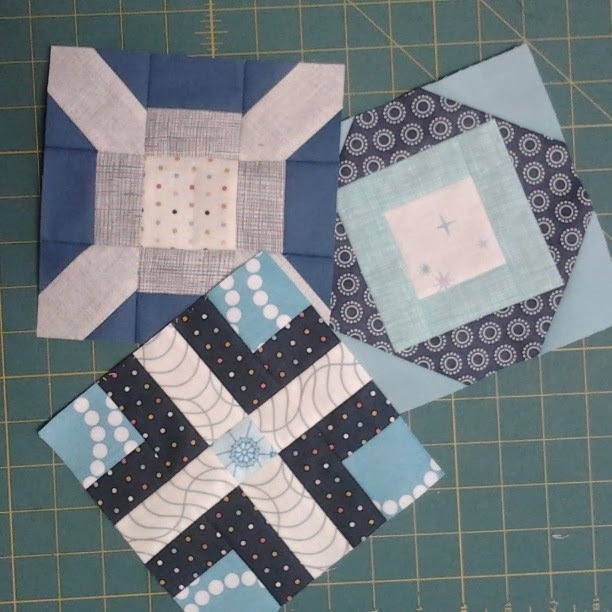 It is fun to see your penny sampler progress...keep it coming. 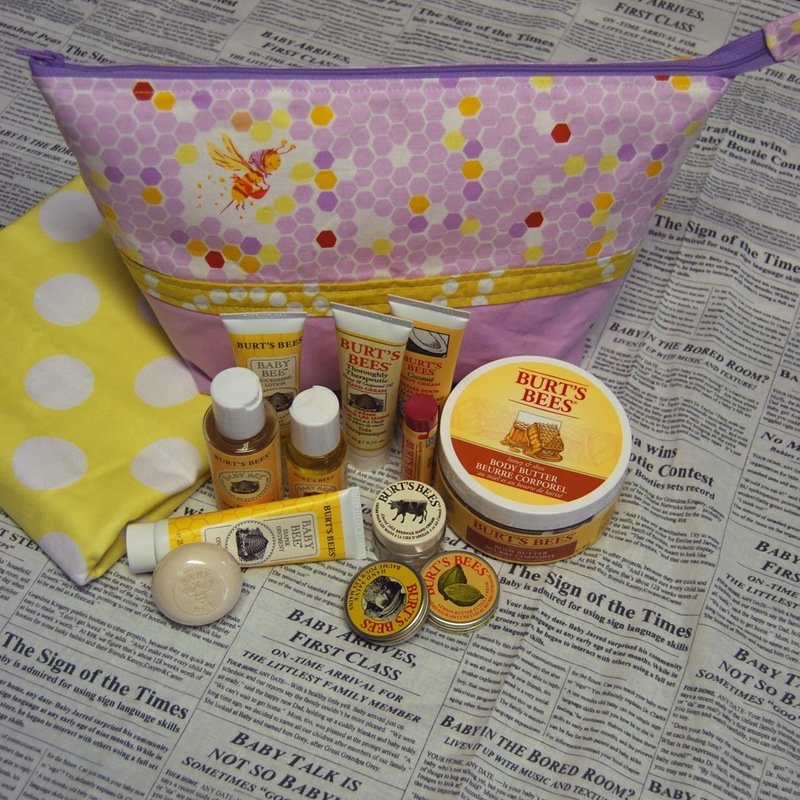 LOVE the bee pouch and Burt's Bees' products were a nice touch :) It is great when people pool their gift, and you made so much stuff too! It is sure to be well received! You are preaching to the choir over here--I feel like all I've worked on/blogged about for the past month is that starry night quilt! Ugh. But I don't mind seeing the penny sampler so much--it is fun seeing the process and it come together. That baby shower gift is so awesome! I'm sure she will love it, so generous of you and you mom and sister. we will still be here as long as you are, whether it is often or not. 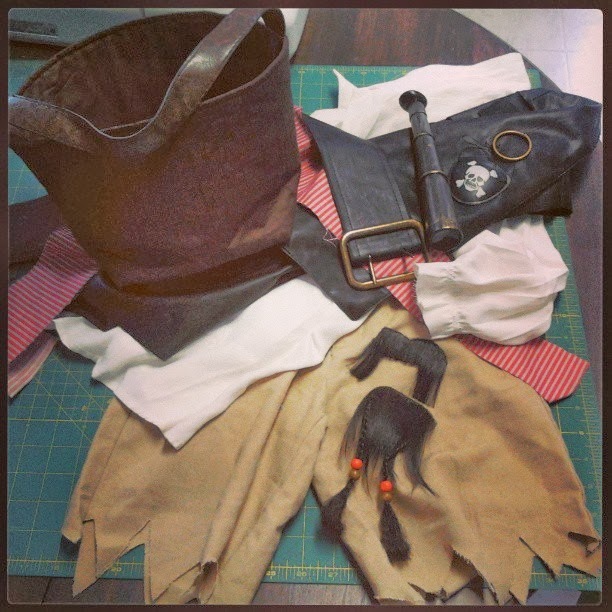 Your Penny Sampler is looking great and your pouches are inspiring me to make somethung besides a quilt... Oh and that Pirate custume.. Wicked! Wow. Huge post. Love your penny sampler and definitely think you should just appliqué the crosses on. It will be much easier and faster than embroidering. The pirate costume is great. It's perfect!! The baby gift uis wonderful. A centerpiece at the shower to be sure. I'm still amazed at how much sewing you get done with those two little ones to keep you busy! Hehe your boys look super cute! The Penny Sampler is coming along beautifully - I love that tea set too! Truth - forcing posts in never good! If you're not feeling it, we'll know it. :) Come around when you're ready and we'll see what you're up to! Love your tea set blocks but I think I already told you that! 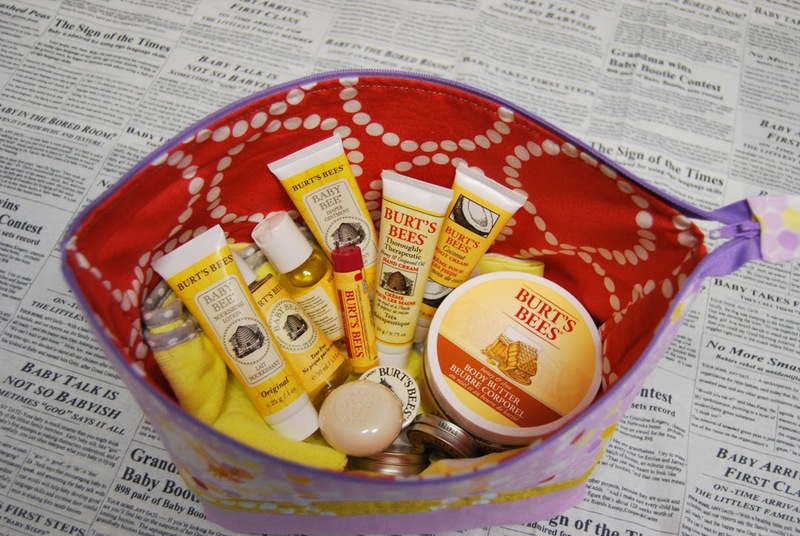 Burt's Bees...since you seem to be the expert, which one is the best for very dry chapped lips? And we're talking VERY dry. I totally feel like that about blogging right now too. I only have one thing going so I feel like I have nothing new to share. On the flip side, I love seeing all your projects and I really don't think I'll ever tire of seeing your Penny Sampler. I am living vicariously through you on that one :) I am also loving that baby shower gift ensemble. It's so thoughtful and everything is just so adorable. I want it for myself! I guess I would probably need to be pregnant first, but those are just minor details. Loving all the projects you've got going on here! So sad to see the little pluses go, but I can see what you mean about the background fabric. It's so hard to know exactly how something's going to look until it's finished. Happens to me all the time :( Well done for unpicking it's a difficult and frustrating thing to do. Seeing as this post has been pulled up for more than two wks on my phone in an idol window, clearly I can relate :). Your penny sampler (et al) is looking fantastic!